We now have 1 foot of ice with 1 foot of snow. For us, traveling with ice conditions like this is no problem. 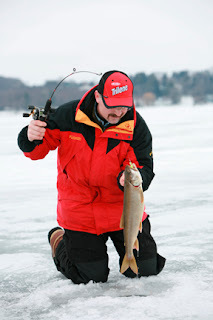 Lake Trout fishing is good. Not every shanty every day caught fish, but today they did. Some were keepers and some were undersized. 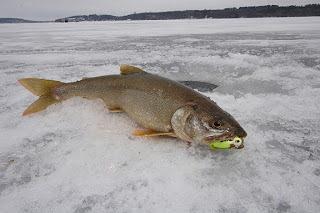 This Saturday one of our customers caught an 8 pound Lake Trout. 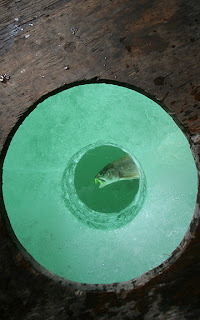 Here are some photos taken by someone who fished with us this last week. We now have 10 inches of ice with about 1 inch of snow. Here are some photos of the action this week, including our fish and hunt package.